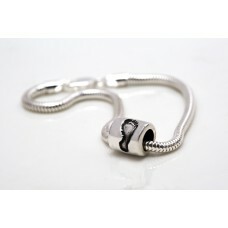 The long awaited bead charm is finally here! So many customers have asked me to make a bead, and it has taken months of trial and error, but here it is! As all the beads are individually made, the measurements may vary slightly, but all will be approximately 1cm wide. The hole through the centre is 6mm, which means it will fit onto all snake chain style bracelets and necklaces. It could also be put onto a thinner necklace chain too. The choice is yours! 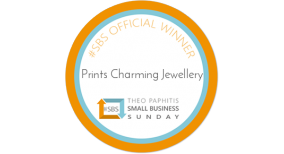 You can also combine this bead with our very popular snake chain bracelet, which is a 3mm diameter - the same as other popular brands. The bracelet can also easily be added to over time. 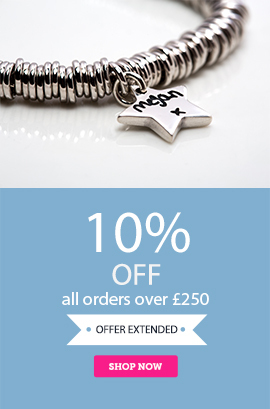 You will save £5 on the price of the bracelet when purchased with our bead charm. Simply select the options below to design your bead, and add any further instructions in the comments box at the checkout. 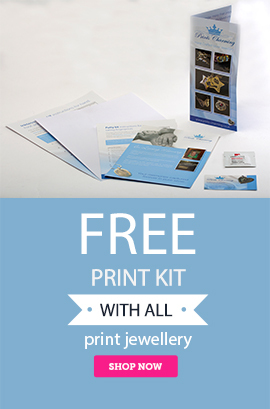 Once your order is received, we will send out the print kit. More details and an instructional video can be found in the 'Taking Prints' section of the website. We hold all customers prints on file from previous orders so if you have ordered from us before and wish to use those prints, just indicate this with the option below as you order.